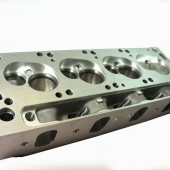 finally a TRUE factory style 4V alloy head for the Cleveland enthusiasts. 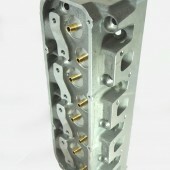 at CHI we realise that not everyone wants to upgrade their intake manifolds, so we went about creating a 4V head for the Cleveland enthusiasts. 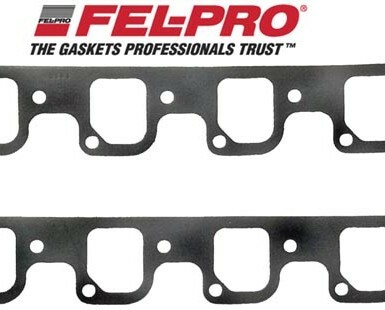 Designed around our 3V 218cc intake port we spent many hours re shaping the entry of the 218cc port to accommodate factory and aftermarket 4V manifolds like the Torker, Strip Dominator etc etc. Careful attention was paid during development of the opening of the port, so as to not increase the volume of the port any more than necessary and keep the velocity as high as possible. 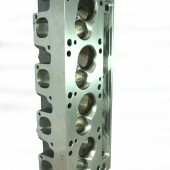 During 2013 our CNC ported 3V heads have all been upgraded to our latest designs following an extensive R&D program. 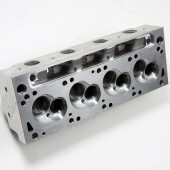 The 220cc and 242cc CNC ported heads combine minimal port cross sections and maximum flow once again. 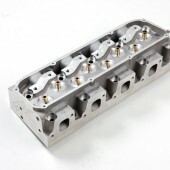 For those of you looking for something bigger again check out our 3V Pro Series heads. 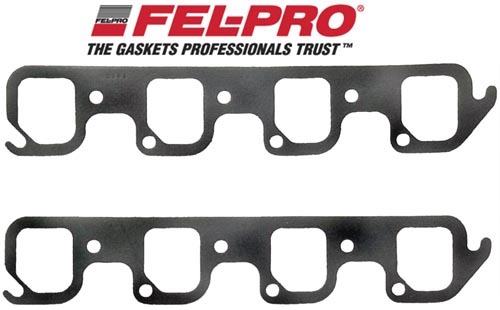 Designed to work with standard 2V intake and exhaust manifolding the 2V Street Master cylinder heads have no equal. At just 190cc in port volume the all new 2V flows a massive 300cfm at just .650”lift, with 300cfm at .600lift (figures taken from as cast head with a 2.100” valve), taking the 2V head to a new level of performance, never before available from a standard intake port location and size. 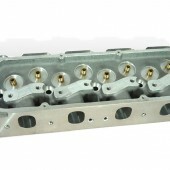 The all new 3V 225cc cylinder heads replace the older 218cc heads and are suited for use on competition and serious street engines of 400+ cubic inches in size and making up to and in excess of 650+hp. The new 225cc feature the same minimum cross section (2.4”) as the 218cc intake ports are designed to deliver maximum power and torque, for those people not concerned by RPM limitations, but rather wanting to make the most possible torque and horsepower for their competition to wild street power plants.